Hubstaff is an easy to use time tracking application for Windows, Mac, Linux, Chromebook, iOS, and Android. 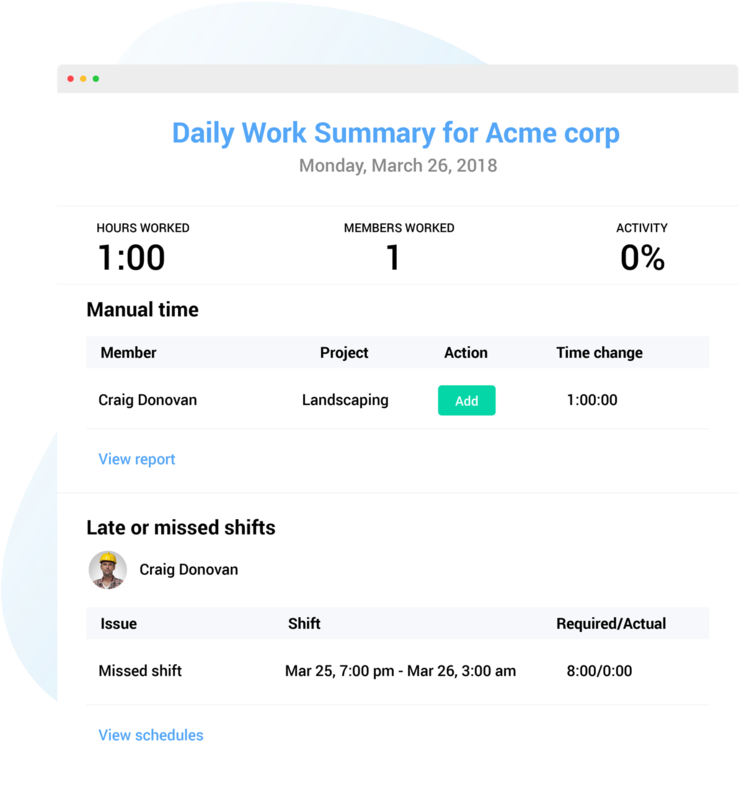 Your team can track their exact time working, and you'll see screenshots, activity levels, websites visited, and programs used during that time. You can then have them automatically paid using your credit card, debit card, and many other options. Say goodbye to spending hours monitoring and paying your team. Hubstaff's payroll allows you to configure each user differently. You can set some to be paid an hourly rate, and others to get a fixed amount. You can have some paid weekly, and others paid monthly. 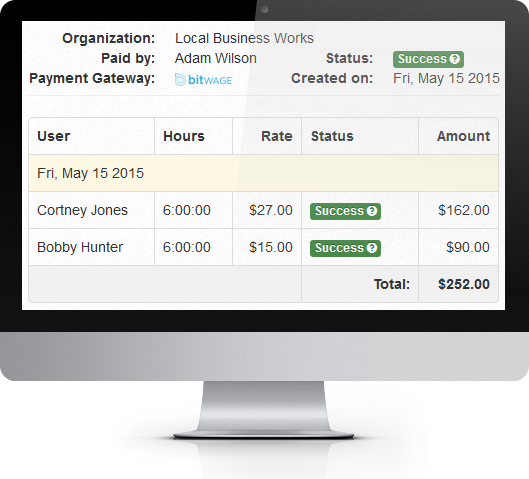 With Hubstaff's Bitwage integration, you can pay them with your credit card, debit card, and many other options. Set it up once and let Hubstaff handle the rest. Each time payments are made through Hubstaff, a record is created allowing you to see all the team members that were paid, what date range they were paid through, and for what projects they worked on. You can export, print, or download these records and refer back to them whenever necessary. 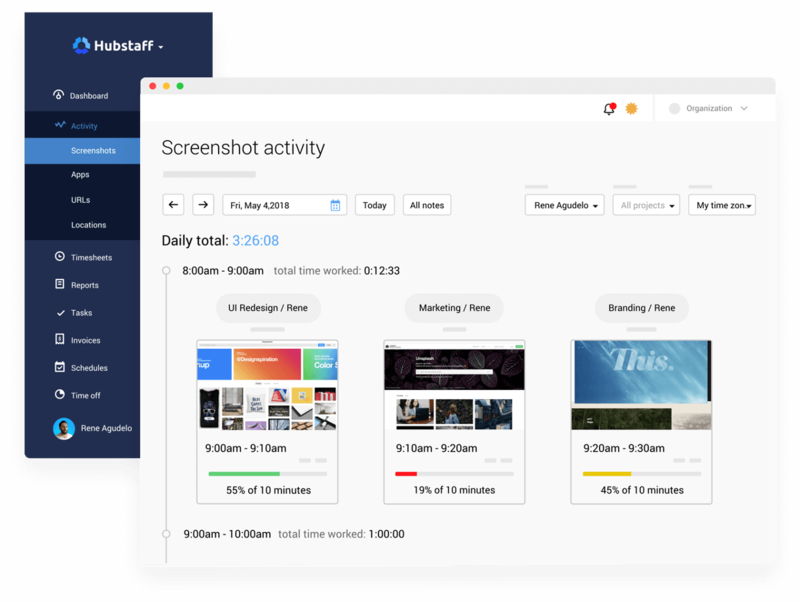 Hubstaff's automatic screenshots and activity levels are a big part of why it's such a powerful way to run your team. You'll always be able to see what your team members are working on and how active they are. You can even monitor the different websites that they visit and programs they use while working. Hubstaff allows you to control what happens when the timer is running but a team member isn't actually working. Time tracked with Hubstaff is accurate. Time is never rounded, which can save thousands in the long run. 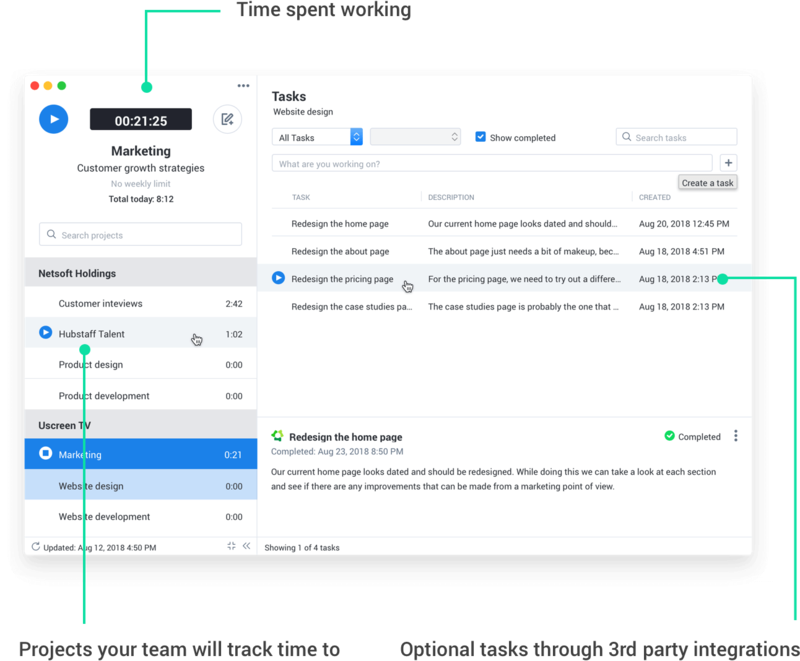 Control how often screenshots are taken, what happens with idle time, how long your team members can work, and more. The Reports section lets you quickly see how much time your team has worked in the current week, how much time has been spent on a specific project, and a lot more. The reports can be customized to include the information you and your clients need, and you can download or email the reports. Never wonder how time was spent by your team or on projects again.